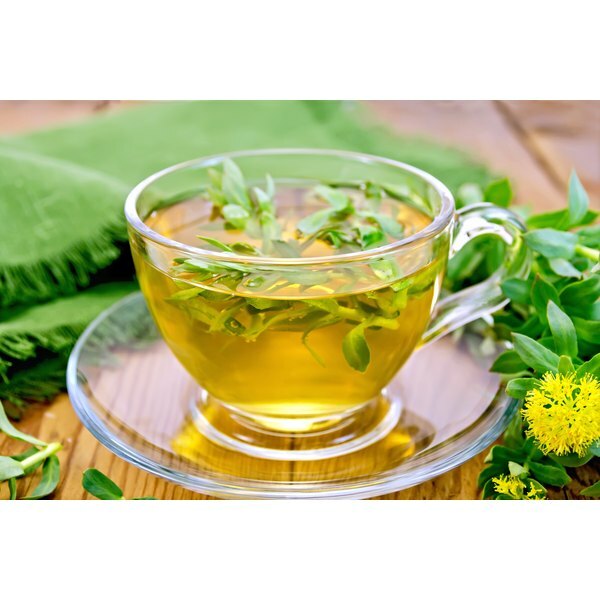 Rhodiola rosea, also known as the “golden root," is a medicinal plant that has been used for centuries in traditional European medicine in countries such as Norway, Iceland, France and Greece. A study published in the July 2000 edition of the journal "Phytomedicine" notes that it was used mainly as a “brain tonic” because of its postulated stimulant effects on memory and the general anti-fatigue properties. Like all medicinal herbs, the use of rhodiola rosea may be associated with complications. According to a 2002 review of rhodiola rosea published in "The Journal of the American Botanical Council," patients taking rhodiola rosea may be prone to signs of overstimulation. This can occur especially with the intake of other stimulants, such as coffee. Some patients have complained of anxiety, agitation, increased irritability and trouble falling asleep. Rhodiola rosea taken close to bedtime can cause dreams that are excessively vivid, graphic, and rich with details. Patients who feel jittery can start rhodiola rosea at a lower dose followed by a gradual increase. "The Journal of the American Botanical Council" article warns that rhodiola rosea may precipitate an episode of mania, or violent hyperactivity, in patients with bipolar disorder. This is because rhodiola rosea has an effect similar to antidepressants and patients with bipolar disorders may experience mania when treated with antidepressant medications. As with any herbal product, patients should consult their primary physicians before starting therapy. Rhodiola rosea has an excellent safety profile, according to a the study reported in "The Journal of the American Botanical Council." The lethal dose of rhodiola rosea has been determined by animal toxicity studies to be 3,360 mg/kg. The toxic dose for an average 70 kg adult would be around 235,000 mg, and with clinical doses around 200 to 600 mg per day, patients likely have no need to worry about a fatal overdose.